The leaves are turning yellow and burnt orange in colour, eventually releasing their grip on the branches they will drift towards the ground. When I walk on footpaths, the familiar sound of leaves crunching beneath my feet are a reminder the seasons have changed. Summer is over and soon fires will be lit and curtains drawn before 6pm. Autumn has arrived. With it, children have gone back to school and families no longer dominate hotels and guest houses. Now is the time to book a weekend escape, there are deals to be had! Tomorrow on Ireland AM at 9.20am I’ll be chatting about some places to escape to this Autumn. While you’re waiting, here’s one ideal spot for a relaxing weekend. There are places, that from the moment you step over the threshold, you know you will love them. A place you feel at home, are spoilt, but not suffocated. My first memories of The Mustard Seed are of an open fire, a warm welcome and the smell of home-cooking wafting into the hallway. Freshly baked bread sat in baskets, the smell reminding me of my childhood. Owner Dan Mullane swept into the hall welcoming us like we were long lost friends. His good humour and chatter was contagious. Downstairs, the house is a maze of rooms decorated with bits and bobs from around the world. Magazines and books line shelves and tables, inviting guests to sit back and rest awhile. There is a mix of worlds and periods in the house, giving it a true feeling of a home owned by someone with passion. Fresh flowers from the garden are dotted around the house, including the bedrooms which look out over the manicured lawns at the front or the kitchen garden to the back. 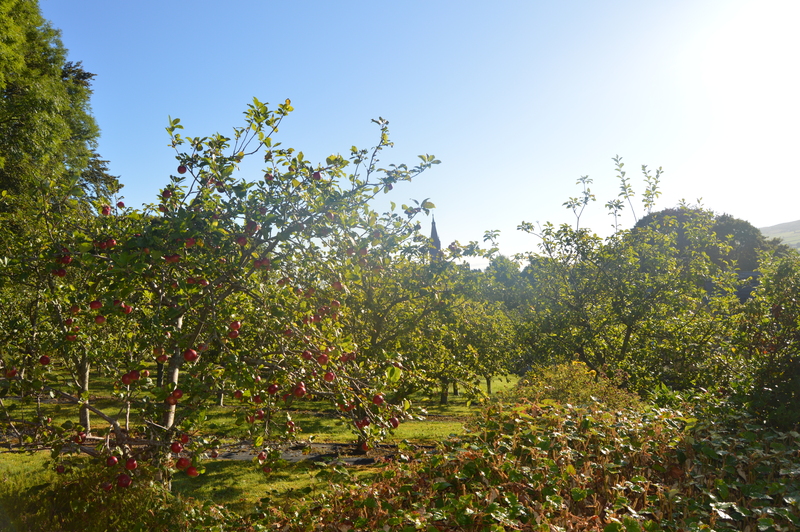 Ours looked right over the orchard. Apple trees, berries, herbs, vegetables, flowers, you name it, they grow it. It’s the kind of garden I dream about having, although I can imagine the hours spent keeping it so beautifully. I spotted a chef making his way through the rows of vegetables, gathering food for the kitchen. A hen strolled behind him stopping to nibble on something tasty. People come to The Mustard Seed, enjoying walks in the area, relaxing in the house and gardens, but also for the food. Dan has built the business up over 30 years, originally opening as a restaurant in Adare. Food is at the heart of the house and the restaurant is packed in the evenings, not only with guests, but locals coming to feast on imaginative and delectable dishes. Pre-dinner drinks are served in front of the fire and orders taken before going into the elegant dining room. We had to keep the menu with us during the meal to identify elements of the dishes we couldn’t guess. Dinner in The Mustard Seed is an experience to be enjoyed over several hours. We were so full afterwards we could only collapse onto a couch in one of the drawing rooms. It’s a sociable affair after dinner with everyone chatting to one another while the piano plays softly in the background. This is a place to unwind and enjoy your time with your book and partner. A retreat from everyday life, where you will be taken care of and fed like a Queen (or King). It’s certainly a place to escape on an Autumn weekend. 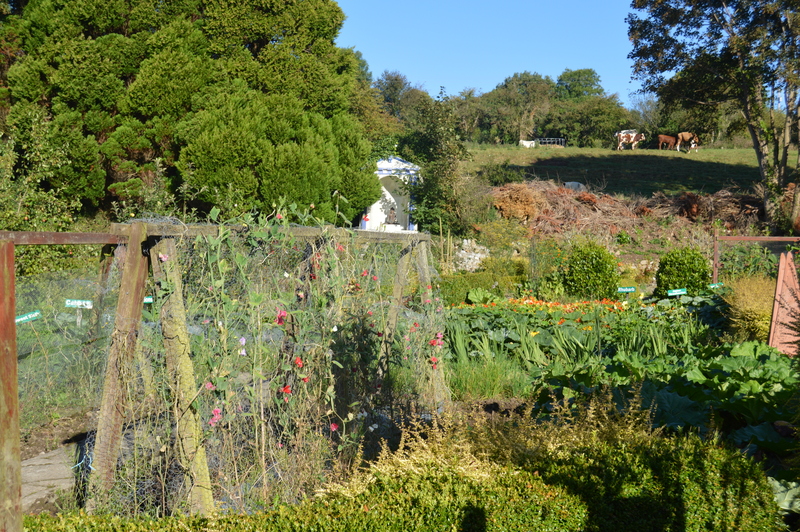 Kitchen garden – bountiful and beautiful. 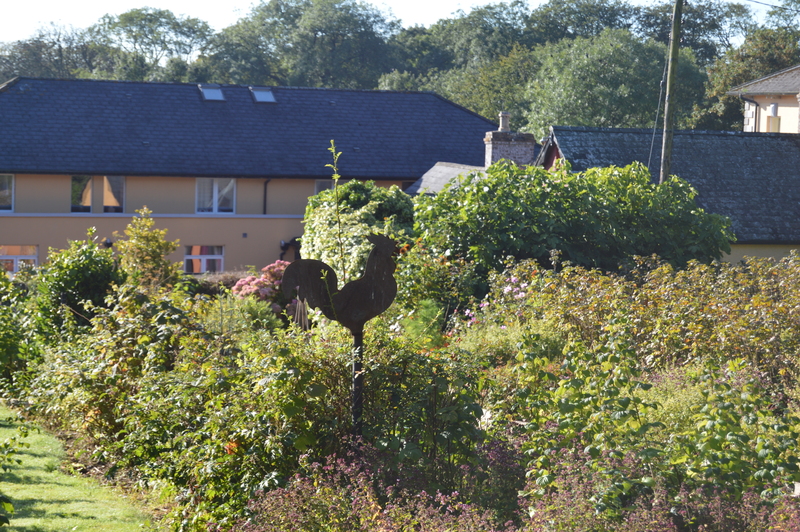 Hens – pottering about the gardens with not a care in the world. Drawing Rooms – one for every occasion with bundles of books to borrow during your stay. Dan Mullane – funny and passionate, warm and welcoming. Food – Divine breakfast and a dinner to remember.